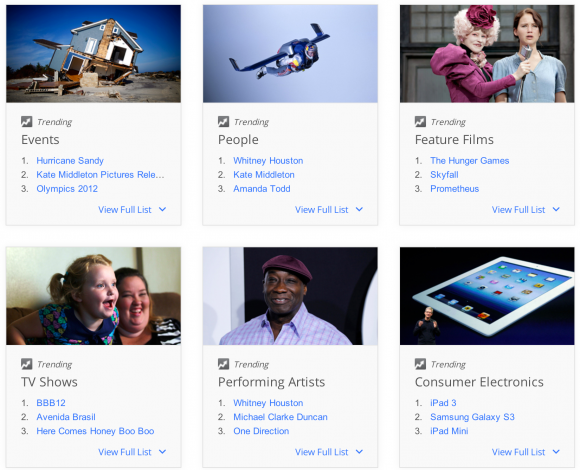 Google has just released its Google Zeitgeist 2012 list which is the annual list of most popular searches and trends throughout the year. Google Zeitgeist 2012 repost reveals 1.2 trillion searches across the 146 languages. The Internet giant has revealed the some most searched terms and popular trends in 2012,in its report which shows data for global views as well as by country also. The list shows the categories like performing artists, consumer electronics, and events, together with individual countries.